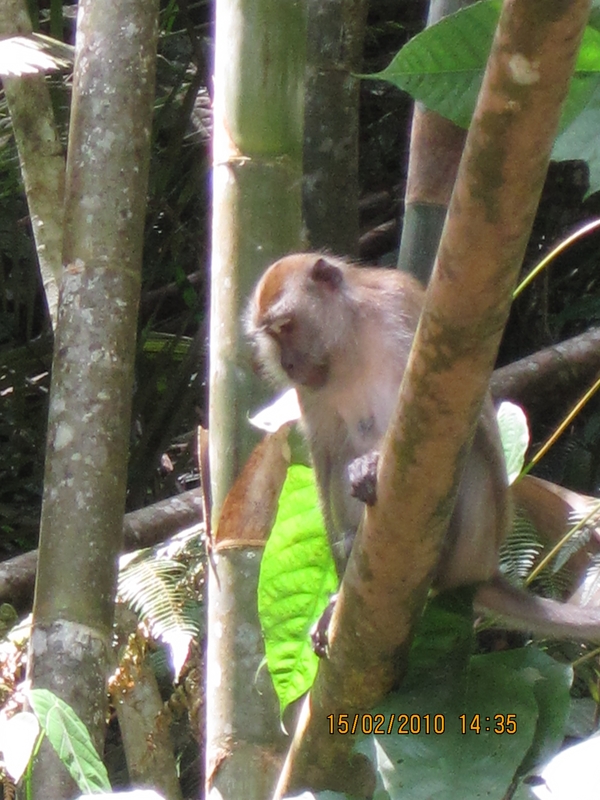 Monkeys at Ulu Yam Waterfall, which is about 45 minutes’ drive from Ampang, Selangor, Malaysia. 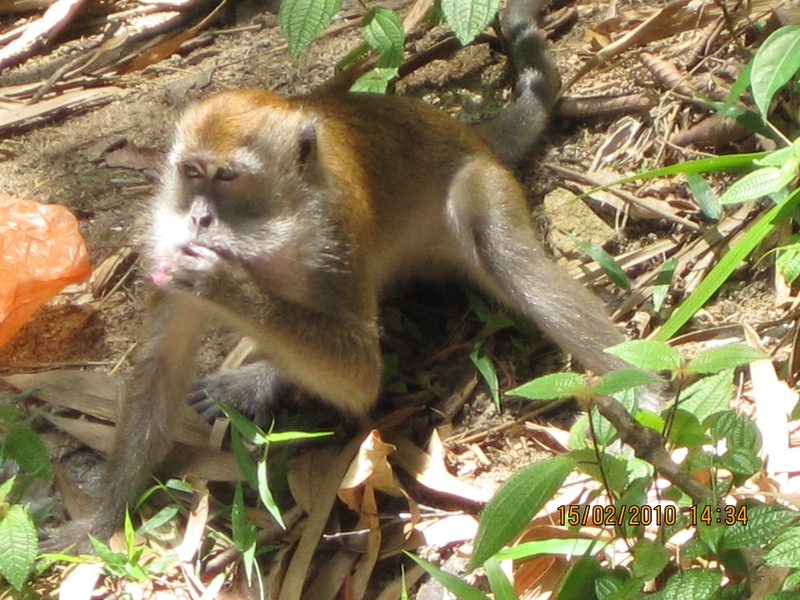 According to a 2008 news report, Malaysia’s monkey population is around 700,000, out of which some 250,000 are found in towns and cities, mostly long-tailed macaques or leaf monkeys. 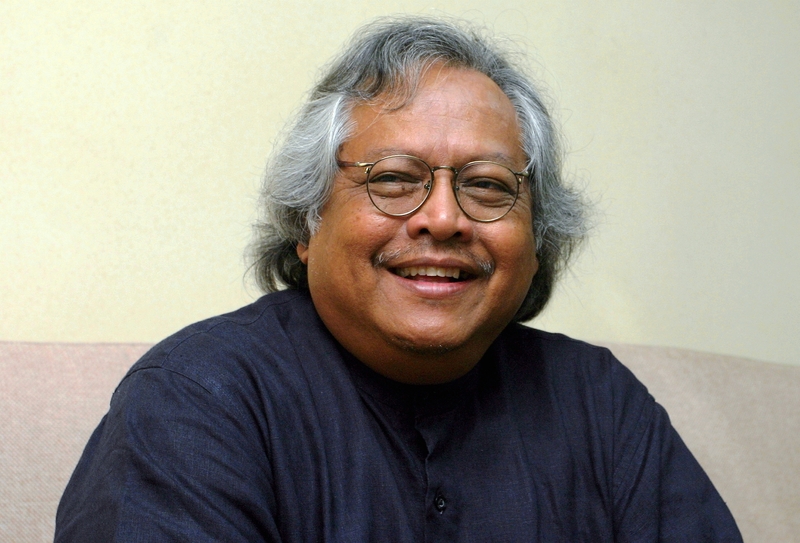 Rapid economic growth is forcing monkeys and other animals in Malaysia and elsewhere out of their habitat into urban areas. 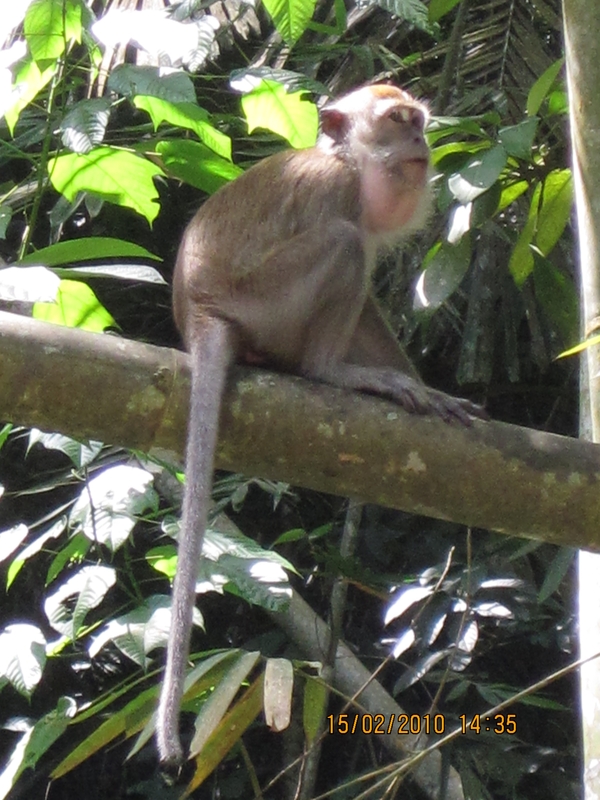 It is very common to see monkeys in school compounds, private gardens and public parks. 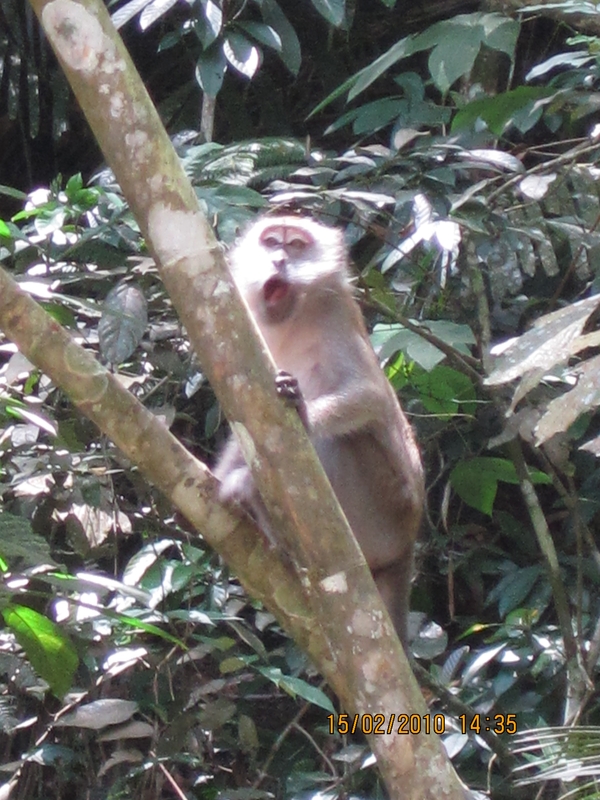 A word of caution: monkeys look very cute but they can become aggressive.